Fire is a calamity that strikes without any warning and wreak an unimaginable havoc. According to a survey conducted 80% of the most damaging fires occur during night times, weekends or holidays when no one is around. Hence an automatic operation is the only solution for round-the-clock protection against any kind of fire. Fire extinguishers are simple and economical solutions for buildings or structures where detection and suppression piped systems prove cumbersome and very expensive. ➣ How Do They Work? When heat from an uncontrolled fire increases to a pre-set temperature of the unit, the fusible link releases, discharging the extinguishing agent. 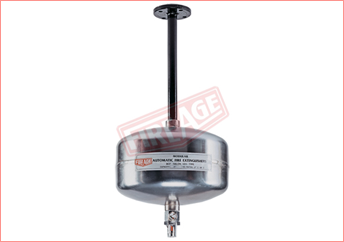 The release temperature of the extinguisher (fusible link) can be pre-set at works ranging from 57ÂºC/68ÂºC/79ÂºC/93DC/140ÂºC and so on. they require no external source of energy and it can be operated manually or mechanically for their operation. Automatic, hence no human involvement, reducing the chances of injury and accidents to virtually zero. Available with either Clean Agent Gas, ABC all purpose Dry chemical powder, Potassium Bi Carbonate Dry Powder. Electro Piston Actuator (Optional Feature) Switch can be linked into the wiring circuit for electric operation with solenoid actuator. This additional special facility can be attached at minimum extra cost. Mounting Arrangement can be designed for special application request. In Industries of following Types : Powder, Textile,Chemicals, Fertilizers, Petrochemicals, Refineries, Ceramics, Metal Processing, Vegetable Oil, Rubber, Wood, Paper and Pulp, Printing, Plastic, Paint, Computer etc. having special process hazards like Boiler & Furnaces, Fluid Power Systems, Oil quenching, Spray Finishing, Powder Coating, Dipping and Coating, Welding & Cutting, Grinding, Solvent Extraction, Conveyor Systems, Aerosol Charging, Transformers & Electrical Junction Boxes, Control Panels etc. Storage of Flammable & Combustible Liquids and Gases, Grain Mill Products Solid Fuels, Records, Libraries, Museums, Showrooms, Shops, Offices, Residential premises, Workshops, Garages, Paint Booths, Theaters, Radio Rooms, TV Stations etc. 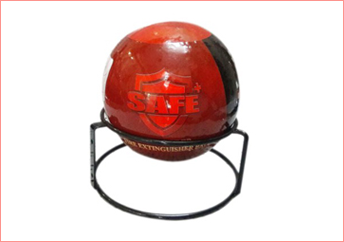 ➣ Installation : The Fire extinguisher Ball can be free standing or permanently fixed to wall, ceiling 0r directly to a surface. * Activation Time 3 - 5 Sec. 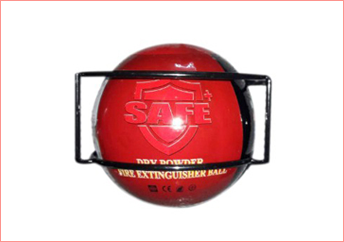 Simply mount to desired area and the Fire extinguisher Ball will self active. Effective on class A, B, E + F fires. 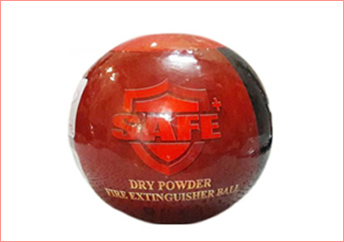 The Fire extinguisher Ball is completely maintenance and service free. the product has a lifespan of 5 years. Suspended dry powder fire extinguishing device has advanced drive technology,effective fire extinguishing ability, attractive appearance, convenient installation and long storage time, so it's a kind of environmental, energy-efficient new fire extinguishing device. 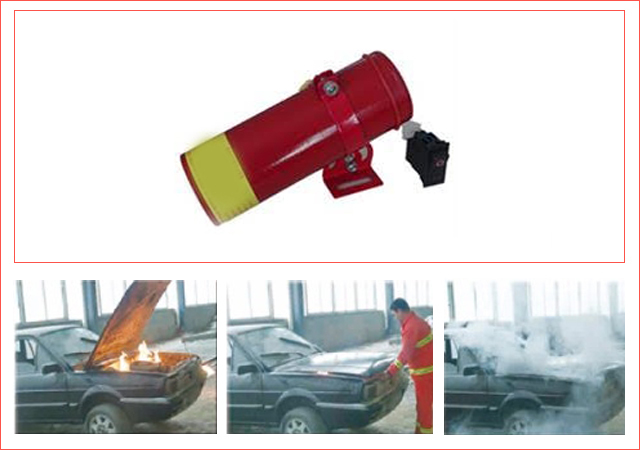 The extinguishing agent is good quality ABC superfine dry powder, it can put out engine compartment fire disaster quickly, prevent and reduce the traffic accident and property loss caused by car fire disaster.